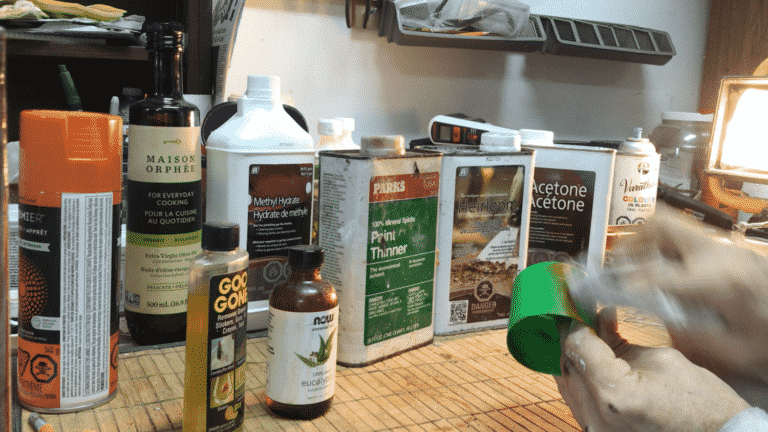 You can damage many types of plastic with solvents like acetone, etc., so start with low-impact solvents and then move on to the harder stuff, like Bob Dylan. First, a simple test if you are not sure what kind of paint it is, then we show how to remove paint from plastic: both latex and oil. You probably have what you need at home already. The go-to product (something we should all have around the house) is Motsenbocker’s for latex paint and for oil paints. Mr. Motsenbocker, is there anything you can’t do? Latex will become gooey when exposed to certain solvents. * Acetone is the best way to tell if dried paint is latex (most nail polish removers have acetone ), but rubbing alcohol will also dissolve latex, just more slowly. Rub on the paint in a test spot and keep it wet for a few minutes. Not gumming up? It’s oil. The video at the very bottom shows how. If latex, go to the post just about removing latex paint: you are the lucky ones. Is it still wet? Keep it wet! Apply the paint’s known solvent right away if you can. Not sure about the solvent? Start with paint thinner (mineral spirits). Lighter fluid and gasoline will work too. As you wipe, the thin residue will dry fast: don’t let it. Don’t use cloth with much dye—it leaves a mark!). Other solvents listed below. Don’t be a cowboy, John McClane…Yippee-Kie-Yay. Has it dried up? Let’s start with what we have around the house, then we’ll look at some solvents and paint removers ( and stock up for next time). That old paint remover is not illegal: read the new law from the EPA. The first of 2 videos below show the tests we ran. 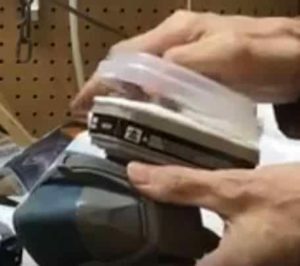 ♦ Always do a test spot for each method to see if the solvent harms the plastic underneath. Use a tool to scrape off what you can: choose a tool that won’t scratch the substrate. Cooking oils, motor oils, WD-40 etc, — work best if the paint has only recently dried. It will just soften paint for easier removal. 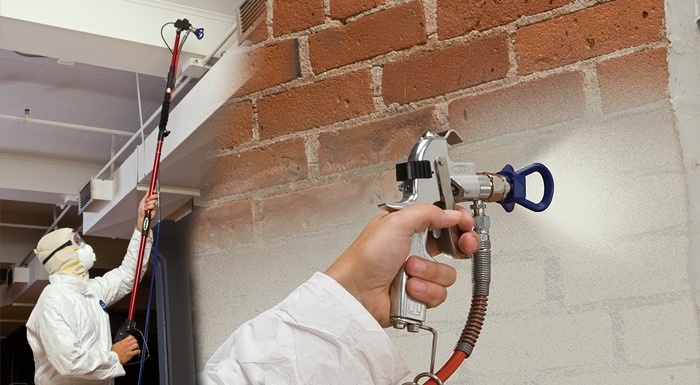 This eco-safe stripper claims it can remove 30 coats of paint at once: we have used strippers like this and it works, but slowly. Keep it thick and wet to keep it working. 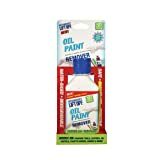 Motsenbockers’ Lift off for oil-based paints is an old standard. 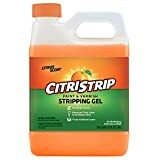 Citrus based gel paint removers work, but slower (and safer). Shocker: eucalyptus oil worked! We add this to laundry to kill dust mites etc. Oh, how we love this stuff. Me-love-you-long-time. 〉〉 From here down, wear gloves, eye protection, & respirator! These are all listed here. Paint thinner — let soak, then remove with a tool. We prefer the odorless, ah. Alcohol — will not work for oil-based paints, but will for latex. Nail polish remover (most contain some acetone) — let soak, then remove with a tool. Acetone — let soak, then remove with a tool (use the link in #9). Lacquer thinner: very flammable! — let soak then remove with a tool. Melts most plastic. Heat Gun — Go ahead, make my day. Fun to use? Sure but... keep it moving to avoid melting the plastic. Really made for removing paint from metal, but this is your .45 Magnum, the most powerful handgun in the world, Clint. 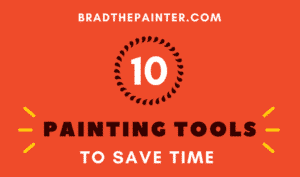 We have listed scrapers and all the basic painting tools in one place. SOLVENTS: Most of these are toxic so you will need to wash your hands well if you touch it. Don’t delay. That old paint stripper you still have is now illegal: read about the EPA’s new law. Before removing old paint, make sure it contains no lead. Did you hear that it causes irreversible damage to the brain, liver, and kidney? With this kit, you can take 10 samples, send them into the EPA approved lab and the cost of the lab is included in the purchase. I’ve looked at other kits that have hidden fees. Removing lead paint? Wear the respirator on this page with the purple, circular filter: the 3M 2097, Organic Vapor Relief. Take that lead and transmute it into gold: pays for itself. I ruined a collector’s item once because I guessed at how to remove paint from plastic: it turned a G.I. Joe bald. I hope this all helps. Finally done? Wash over and over with lots of soap to get any chemicals off your skin. Did we forget something? Let us know in the comments if you have some concern or insight as to how to remove paint from plastic or how to remove paint from anything of any kind. Thanks!